Plugin for the Microsoft Exchange Server - seamlessly integrates into the server environment. The Exchange Server Toolbox will also work as plug-in for the open source hMailServer - all features included. Simple and clear configuration interface. Extensive set of rules for processing incoming mail, e.g. automatically pass certain messages to external programs. Rules can be applied to internal emails (Exchange Server 2007 and higher). Variables can be used as placeholders to process text content of emails - e.g. in personalized out-of-office-notices or as part of the order process. Avoid lawsuits: Blacklist email recipients and make sure that no unwanted email is sent out. Backups can now be performed to a database (integrated database, Microsoft SQL Server or MySQL Server) or to the file system. The integrity of your archived mails is ensured by creating a signature and checking against it (supported by an integrated database: Microsoft SQL Server or MySQL Server). This provides archiving compliant to the latest international electronic backup laws. An archive index is created to facilitate searching the content of the backups. Strong anti-spam solution: The integrated SpamAssassin runs out-of-the-box, including statistical Bayes filter and the option to train the identification of spam (or junk) and ham ("no spam") emails manually. Create your own spam rules for individualized spam protection. Integrated blacklists and whitelists for email adresses and words in subject or content. Anti-virus software ClamAV is integrated, additional software can be connected for even better virus protection. Refuse virus-infected emails and increase your protection against crypto trojans and ransomware. The Outlook add-in facilitates easy archive search for users. Enables users to train "spam" and "no spam" e-mail recognition resulting in increased protection from junk emails. The extended event log guarantees an easy overview over all emails processed via the Exchange Server Toolbox. 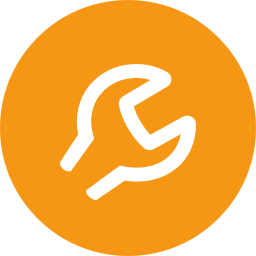 The Exchange Server Toolbox adds important features to your Exchange Servers' portfolio and automatizes processes. Users can access the email archive or train the spam filter via an Outlook add-in.